The Telstra Perth Fashion Festival may be long over, but that doesn’t mean that we cannot look back and reminisce on all of its beauty! It was an incredible week filled with so much passion, creativity and style, and with so many different inspirations, it really goes to show how much fashion and styling can tell a story. Take Empire Rose’s show, it was exploding with magic and mystery, that kind of edgy but whimsical style created through the music, styling and of course the very detailed fashion items combining sequins and leather. We also saw the always polished yet relaxed style of Flannel, in a wave of cream and pastel colours in the brands signature styling. If only we were on holidays sitting by the beach in a Flannel gown with a cocktail in our hand, oh wouldn’t it be the cherry on top! 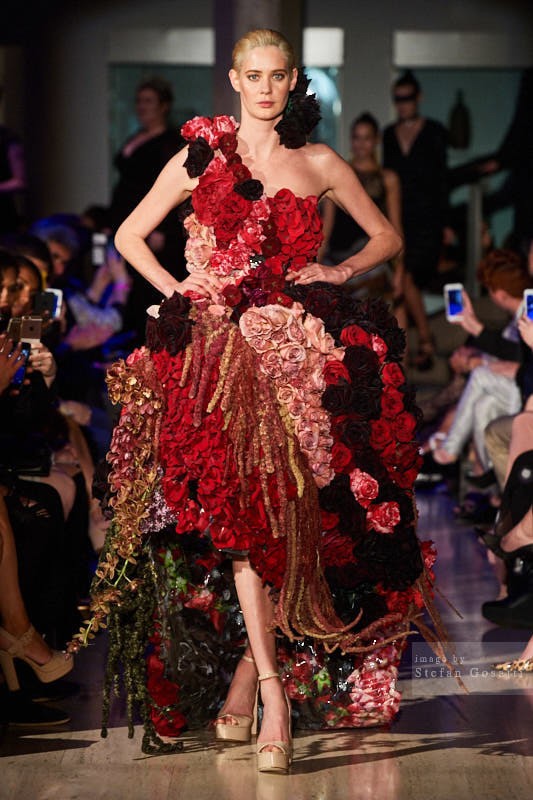 Of course we all remember the show stopping dress, that one red dress that everyone gasped and ‘gramed about for weeks afterwards, the Natural Art Flowers gown showcasing a garden of flowers and roses, that not only looked incredible but smelt amazing. We never thought we would say that about a dress but it honestly smelt like we were running through a flower garden on a summer’s day. It really was perfection in itself and a perfect way to end the week and the Art of Fashion show. Inside the TPFF tent, the ambience buzzes, excited to see what the shows would bring. The many fashion enthusiasts, Perth influencers and outlets all at the ready with fully charged devices in order to capture and relive the moments again once the magic has left. We are all sad when the final looks walk the runway and the week of social outing, parties and fashion is over, but in our minds we all know that next September it will all be happening again with even more fashion, adventures and excitement. It truly is an amazing experience that will never be forgot and one that we plan on attending again for many more years to come. There is so much excitement and wonder as to what next year’s fashion festival will bring, but we are very sure it will again outshine all of our expectations. Fashion on the Field: Florals take the Lead!